Prior to her current position, Pam was the General Manager of Lead to Cash, a multi-year technology program focused on improving our customer facing sales, service and financial tools. Pam has held leadership positions in Sales, Finance, Customer Service and Operations and joined CP in 1997 as an Account Representative in the Resource Products area. Pam is passionate about continuous process improvement and innovation and has utilized Lean and Six Sigma methodologies to improve transactional excellence. A recipient of two Canadian Pacific President Awards, she has been recognized for her contributions to improving the customer experience. Outside of work, Pam spends time with her husband and 3 children primarily in hockey rinks and volunteering in the community. Colin has been with Franklin & Prokopik in its Baltimore office since 2004 and has been a Principal since 2011. Colin handles a wide range of matters, including the defense of civil suits, particularly those arising from accidents involving commercial motor vehicles, premises and product liability, and general tort and contract claims. Through his involvement with the transportation industry Colin represents clients in regulatory enforcement matters, including administrative hearings and appeals, and has represented clients in traffic court defending citations arising from accidents. He also represents carriers, brokers and shippers in freight and cargo loss claims. Colin regularly tries cases in both state and federal courts related to all aspects of his practice areas. Prior to joining Franklin & Prokopik, Colin was an associate with the Baltimore office of the law firm of Funk and Bolton, P.C., dealing with litigation and insurance coverage issues arising from life, health and disability insurance. As a law clerk with the firm of Jackson and Campbell, P.C. in Washington, D.C., Colin dealt with complex insurance coverage issues. Colin is originally from Scotland, where he was a trial attorney for nearly seven years before emigrating to the United States in 2001.
position, Dan was the Director of Marketing, Intermodal International, managing all aspects of pricing, strategy, new product development, &amp; contract analysis for all of CN’s Intermodal International business. Dan has also held leadership positions in Sales at CN including Director of Sales in International and Director of Strategic Sales in Domestic Intermodal. 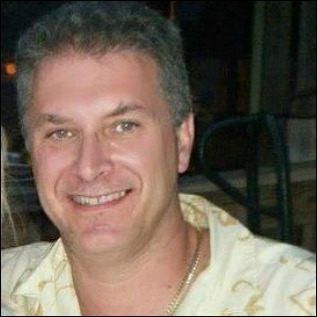 Dan joined CN in April, 1999 as an Intermodal Account Manager based in Toronto ON. Dan takes great pride in his knowledge and experience in rail operations and has taken full advantage of CN’s Management operations training programs. Currently, Dan holds a valid Conductor’s and Intermodal Crane Operator’s certification. When not working, Dan likes to play golf and hockey and also likes to coach minor hockey. Dan is a Graduate of Brock University in St. Catherines Ontario and currently lives in Stoney Creek ON with his wife Rena, son Caleb and daughter Zoi. Bob Clark is a seasoned senior executive with extensive experience as a President, Chief Operating Officer and business owner in the transportation and logistics industry. With a focus on strategic branding and business development, Bob has been an influential member of the executive team to the growth and development of a North American wide transportation network with over 600 locations throughout Canada and the United States. As an eloquent communicator Bob has succeeded as a corporate ambassador, coaching and mentoring teamwork to enhance brand development with strategic alliances to produce results with increased market share and profitability to all stakeholders. Bob has a hands-on approach experience in management. Starting his career in the transportation industry as a driver to owning his own business and being the President & Chief Operating Officer of Atlas Canada, a $100 million a year national transportation company in Canada, a position he held for seven years. With over twenty five years of senior business development experience in both marketing and sales, Bob is an agent of change. Having worked with and for numerous companies going through transition, he has an innovative and critical thinking management style to create and implement unique business initiatives. These have fostered long term, successful client relationships. The results have increased revenues and market share through collaborative business development strategies. This has also enhanced Bob’s negotiation skills in complex business opportunities as well as for the not-for-profit sectors he supports. As a critical thinker, Bob has been able to research and develop operational capacities in large logistical opportunities for major corporate clients throughout Canada. Using continuous benchmarks and utilizing data and metrics, he has successfully achieved best in class results and business goals resulting in exceptional profitability and customer service levels. This has also gained Bob’s reputation with turnaround situations in existing businesses. Bob has also been successful researching and developing sales and business development opportunities that elevated companies from the smallest share of market to the largest. Bob has experience with having operational and fiscal responsibility at the head office level with over 100 employees including a senior executive team. This also resulted in a proven track record for attracting, developing and retaining top talent resources. A strong understanding of collaborative marketing and brand segmentation combined with a competency in pricing and proven ability to look beyond transitional business models has allowed Bob to maximize returns on each asset for companies and clients alike. Bob has an extensive background working with various boards, and a variety of stakeholders, both corporate and not-for-profit. He is a Board Director of Canada Gives Foundation. He is a member of the Toronto Club and an honourary member of Canada Company, supporting the children of fallen soldiers. Philanthropy has always been a core value throughout Bob’s life. He has held numerous leadership positions in the not-for-profit sector. As former chairman of the Ontario Club to his current responsibility as a member of the Regimental Senate of the Argyll and Sutherland Highlanders of Canada (Princess Louise's), and a Director of the Women’s Shelter Foundation, Bob values the opportunity to give back and to make a positive difference in the lives of others. Mr. Clowdis serves as Managing Director – Transportation for IHS Economics & Country Risk. He is a frequent speaker for industry and civic groups on the current happenings in transportation and logistics. Mr. Clowdis leads IHS consulting projects tailored for both private and public sector clients, such as Federal and State Departments of Transportation, municipal planning organizations and transport service providers, including river barge operators, railroads, air cargo operators, motor carriers, steamship lines and dray operators, as well as providers of third-party logistics (3PL) services. He has assisted transport providers in refining their markets, streamlining their operations and focusing and pricing their service to offer optimum price versus service levels. He often works with transport planners and planning firms on freight flow plans, as well as airport master planning for enhanced cargo operations. He also has assisted both Fortune 500 and smaller companies in designing their supply chain operations to achieve maximum service via the most cost-efficient means. In addition to being experts in the various modes of transport, the team Mr. Clowdis leads provides consultation on commodity flows and commodity transport throughout North America. Prior to joining IHS, Clowdis served as a senior vice president of marketing and national account sales at TNT North America and senior vice president of marketing at Transcon Lines, Inc. He also has held other executive positions with major transportation organizations. He was an executive consultant for the national transportation practice of Ernst & Young LLP from 1983 until 2000. Mr. Clowdis formerly served as chairman and president of the American Trucking Associations' Sales & Marketing Council, for whom he authored the best-selling book, "The ART of Giving Quality Motor Carrier Service," and also wrote, "The Driver Makes a Difference." He has contributed to several other books and authored white papers and trade magazine articles on transportation, supply chain activities and logistics. Mr. Clowdis holds degrees from Young Harris College, Young Harris, Ga., U.S., and University of Georgia, Athens, Ga., U.S.
Apart from his University credentials, he was one of the youngest to attain the P. Log designation from the Logistics Institute thru their Executive Leadership Program and is a Chartered Fellow, along with the Institute's Patron HRH Queen Elizabeth II, of the Chartered Institute of Logistics &amp; Transport North America. Elias was also one of the youngest-ever members of the Young Presidents’ Organization (YPO) in Canada. 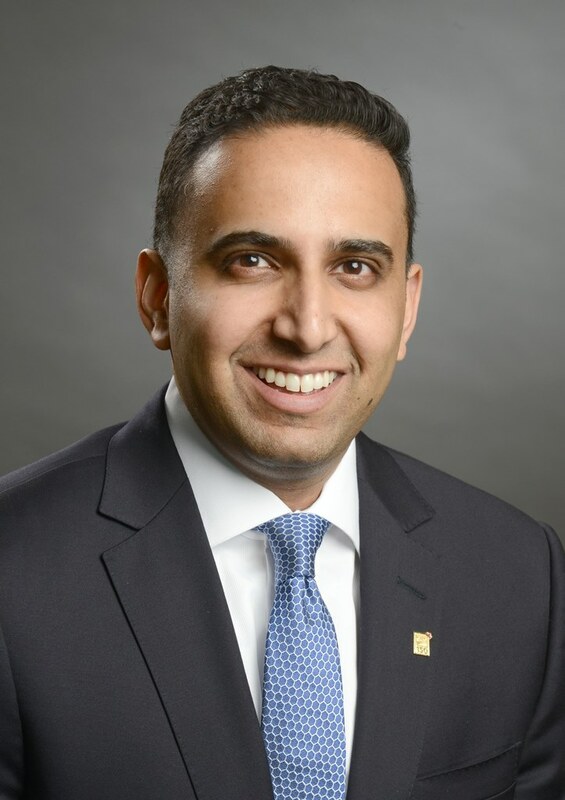 He also serves on several academic and non-profit boards, including The Logistics Institute, The Chartered Institute of Logistics & Transport North America, the Southern Ontario Gateway Council and the Toronto Chapter of Supply Chain &amp; Logistics Canada. Lindsay is the Director of Rubicon VLS, a 3PL founded by IT solutions-provider ICL, Inc. Lindsay oversees the team responsible for managing the finished automotive network from plant to dealer for Fiat Chrysler Automobiles in North America. Leveraging ICL’s end to end supply chain visibility tools, Lindsay and her team are committed to providing the most data-driven supply chain management services in finished vehicle logistics. Her team managed 2.5 million new vehicles in 2016, with 30+ haulaway carriers, every class 1 railway in North America, and import/export and short sea operations through ports in the US, Canada and Mexico. advocate for collaborative continuous improvement in supply chain, and believes data visibility across all supply chain partners is the first step in affecting change. Lindsay is certified in Toyota Business Process (TBP), is a Certified Agile Project Manager (CAPM), and was recently awarded the Rising Star Logistics award at the 2017 Automotive Global Awards – North America for her leadership in the startup of Rubicon VLS. Lindsay is also a certified sommelier, and enjoys a similar passion for wine and food as she does for logistics and data analytics. Paul has 25 years experience as a professional civil engineer, road designer, project manager, road safety and ITS specialist in 9 countries on four different continents. He has worked with consulting engineering companies such as Arup, AECOM and Jacobs. Since 2011, Paul has become a specialist in emerging technologies in transportation and particularly automated vehicles and their socio-economic impacts. He has written numerous papers, articles and blogs on automated vehicles and has been interviewed for Canadian TV, radio and various syndicated articles. As an internationally-recognized thought-leader on autonomous vehicles, Paul has been invited to present to the Connected Vehicle Expo at the LA Motor Show, to Caltrans and numerous organizations in California as well as mobility technology tours to the UK and Israel. He founded the ITS Canada Autonomous Vehicle Task Force in 2012. When he retires, he is going to buy a pimped out fully self-driving RV and tour North America along with a large community of like-minded itinerant snowbirds. Paul received a B.Sc. (Honours) in Civil Engineering from the University of Southampton, UK. He is a Chartered Engineer with the Institution of Civil Engineers (UK) and a Professional Engineer in Alberta (APEGA). Joseph Haroun is the Vice President of Professional Services at Yakidoo. Joseph works with a variety of customers along many verticals to transform how they process documents. Each customer is very different, but all share the goal or increasing data entry productivity, and improving the available of content. Yakidoo helps executives unlock the true business value of enterprise content management by providing solutions that drive massive costs out of the business. Yakidoo reduces the risk of non compliant business processes and secure new revenue opportunities. As part of the executive management team, Joseph is responsible for the following departments of Yakidoo: (1) Project Management, (2) Technical Support and (3) Professional Services. Gordon represents international and domestic interests involved in the transportation and related insurance industries in litigation, regulatory and contractual matters. Gordon is a Past President of the Transportation Lawyers Association, an independent, international bar association whose members assist providers and commercial users of transportation and logistics services. Gordon is a frequent speaker at conferences and seminars throughout North America on matters relating to transportation law, insurance law and cross-border litigation. Gordon has authored numerous papers and articles on related topics. alternative risk solutions that benefit the transportation industry. the fields of Occupational Safety / Health, Human Resources, and Employee Management. His career path has included companies such as Ryder Systems, Federal Express, Transport Corporation of America, RAIR Technology, Lakeville Motor Express, and Anderson Trucking Service. Gary has also spent time as an Adjunct Instructor for Century College where he educated new industry professionals on Federal Motor Carrier Administration Rules and Regulations in addition to instruction on the understanding of the FMCSA’s Compliance Safety Accountability (CSA) program. Association’s Safety Council where he has held a board position for the past 10 years. Mr. Lande is the Chief Financial Officer of FXCM, a foreign exchange brokerage firm. Formerly, he was managing partner and Chief Operating Officer of Riveredge Capital Partners LLC. Prior to Riveredge Capital, Mr. Lande worked for over 16 years within the BCE/Bell Canada group where his last position was Chief Financial Officer of Telecom Américas Ltd., a joint venture between Bell Canada International, AT&T (then SBC Communications) and America Movil. 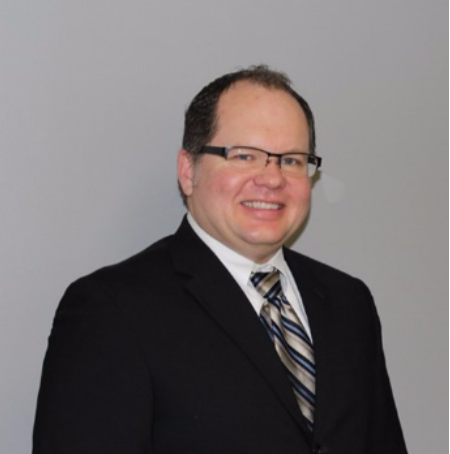 Mr. Lande is chartered financial analyst and holds an M.B.A. from the John Molson School of Business and a B.A. in Economics from McGill University. Mr. Lande was on the Board of Paladin Labs from 1995 to 2014. Catherine Lovrics is a partner with Bereskin & Parr and co-leader of the firm’s Copyright & Digital Media practice group. Catherine’s practice focuses on privacy, consumer protection and marketing and advertising law, as well as trademarks, copyright, personality and publicity rights. She often advises on legal issues related to the Internet and digital media, as well as big data, digital record keeping and database management. Catherine has been a frequent speaker for the past five years, encompassing changes to the legal landscape as a result of the Internet and digital media. Marc Maillet is President of Car-Go Carriers. With over 20 years experience in the auto transport industry Car-Go Carriers pride itself on exceptional customer service and on-time deliveries. Starting out in the trucking industry in 1982 and having worked in all aspects of the industry, from driving the truck to management positions, Marc has always dreamed of one day owning and operation my own successful transport company. In 1995 Car-Go Carriers was born and had quickly become a preferred carrier in the Maritimes. With over 30 years experience in the industry and 20 years running my own transport company Marc has learned to be a hands on owner that is always willing to go the extra mile to ensure customer satisfaction. When you transport your vehicle with Car-Go Carriers you can be assured that Marc will personally oversee the move in order to make it a stress-free experience for Car-Go's clients. Mr. Mendes joined CIBC World Markets in 2015 as a Director and Senior Economist after having spent several years at the Bank of Canada. He is currently the lead author of the department’s monthly foreign exchange publication and is responsible for monitoring/forecasting the Canadian and US economies. Mr. Mendes also writes special thematic pieces on various topics of interest to financial market participants. 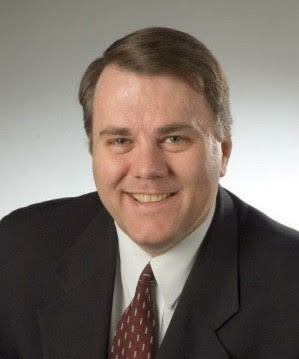 He is regularly quoted in the media for his work at CIBC. While at the Bank of Canada, Mr. Mendes held roles as Portfolio Manager for Canada’s foreign reserves, Associate Editor for the Financial System Review publication and Principal Researcher in the Financial Markets Department. Prior to working at Canada’s central bank, he was an equity research analyst at a Toronto-based hedge fund. Mr. Mendes holds a Bachelor of Arts degree from the University of Western Ontario and a Master of Finance degree from Queen’s School of Business. He also holds the Chartered Financial Analyst (CFA) designation. Over the past 20 years, Angelique Magi has held positions of increasing seniority in a range of capacities within the property-casualty insurance industry including underwriting and portfolio management positions in the personal lines areas, before moving into commercial insurance focusing on the transportation industry sector. Prior to Angelique’s appointment at The Guarantee, she was National Director, Transportation of a major global insurance company. Angelique authors articles and speaks on insurance and transportation topics including the use of telematics in risk mitigation, the impact of cargo crime, and identity theft. A graduate of Flagler College in St. Augustine Florida with a BA in Political Science, she has her CIP designation through the Insurance Institute of Canada. The Guarantee Company of North America is a leader in specialty insurance within the North American marketplace. We offer in-depth knowledge and expertise in niche segments, including the surety industry, corporate programs, transportation, trade credit and customized personal insurance. Robert G. Rothstein is of counsel to Seaton & Husk, L.P. a transportation law firm with offices in Vienna, VA, and Nashville, TN. He previously was general counsel of Truckload Carriers Association, and general counsel of American Moving and Storage Association. He serves the legal, legislative, regulatory, and business interests of motor carriers, household goods movers, private carriers, and logistics providers. Mr. Rothstein received his undergraduate degree in finance from the University of Miami; his J.D. from the Shepard Broad Law Center at Nova Southeastern University; and his L.L.M. in Labor Law from Georgetown University. He is admitted to practice in New York, Pennsylvania, and Virginia, and is also admitted to practice before several federal district courts and circuit courts of appeal. He is a member of several federal and state trucking and transportation communities, among them the Transportation Lawyers Association, Conference of Freight Counsel, and Association of Transportation Law Professionals. He is a certified transportation arbitrator. Mr. Rothstein’s practice is devoted cargo claim litigation, regulatory matters before the Federal Motor Carrier Safety Administration, and matters involving licensing, registration, and taxation of motor carriers by federal and state jurisdictions. Mr. Rothstein serves as General Counsel to the Virginia Trucking Association. His civic involvement includes pro bono legal representation of trucking industry organizations Women in Trucking and Trucker Buddy International. He maintains a valid Class A Commercial Drivers License, and logs at least one cross- country trip each year behind the wheel of an eighteen-wheeler. Henry Seaton is a Partner with the Washington, D.C. area Law Office of Seaton &amp; Husk, LP and has practiced for over 35 years representing motor carriers and brokers. See www.transportationlaw.net. He serves as Counsel for the National Association of Small Trucking Companies, the Air &amp; Expedited Motor Carriers Association, The Expedite Alliance of North America, the Tennessee Motor Coach Association, Specialized Furniture Haulers Association and the Auto Haulers Association of America. He is a frequent speaker and lecturer regarding cargo claims, freight charges, contracting and risk/insurance issues affecting carriers and brokers. Mr. Seaton serves on the Editorial Board for the Airforwarders Association Quarterly Magazine and is a Contributing Columnist for Internet Truckstop Magazine. Mr. Seaton’s new book entitled Rules of the Road is a synoptic guide to legal issues, regulations and contracting issues affecting the motor carrier industry. Mr. Seaton is also a principal in TransComply which assists new and small carriers with regulatory compliance issues and which maintains the Uniform Food Safety Transportation Protocol (UFSTP) intended to establish minimum best practices for compliance with FSMA. Jeff Suggett is a Senior Transportation Planner with 18 years of consultant experience in the field of road safety, transportation planning and traffic engineering. He has been a project manager for a wide variety of complex technical projects for clients in both the municipal and private sector. Jeff Suggett is RAQS qualified to do Traffic Operation Studies and Traffic Data Collection Studies. Specific to long combination vehicles (LCVs), Jeff has been a leader in the area of LCV route planning and assessment in Ontario. In 2006, he prepared a discussion paper for the Ontario Trucking Association reviewing the use and experience of LCVs elsewhere in North America. Back in 2009, he was the Project Manager for the original (LCV) Pilot Project, successfully bringing LCVs to Ontario, working on behalf of the Ontario Trucking Association to evaluate the suitability of operating LCVs on the primary highway network in Ontario, including evaluating the suitability of ramp-to-ramp connections, the On-Route rest stop locations and truck stops for accommodating LCVs from a safety, operations and geometric perspective. Jeff subsequently was the Project Manager for additional studies for the Ontario Trucking Association, gaining the approval for the use of multiple emergency turnaround locations in the GTA for LCVs and a set of layby areas on Highway 400 near Parry Sound. As a result of his pivotal role in the LCV Pilot Project, Jeff’s involvement in LCVs naturally evolved into working directly for truck carriers on individual truck route assessments. Since 2009, Jeff has successfully completed 100+ LCV route assessments for clients along the entire primary highway network in Ontario from Windsor to Cornwall/Ottawa. Tasks included route planning, desktop (geometric) assessment of routes, safety and operations review, gap analysis in support of time-of-day restrictions, liaising with road authorities unfamiliar with the LCV route assessment process, and working with private carriers to develop LCV friendly designs at the conceptual, preliminary and detailed level, contract administration on construction projects and preparation of Environmental Screening Reports. Other commercial vehicle studies he has completed included an assessment of an oversize / overheight truck route in Sarnia-Lambton, gaining approval for a mobile barrier system, and development of a discussion paper on guidelines for accommodating commercial vehicles in roundabouts. Through his work over the past nine years, Jeff has fostered close relationships throughout the trucking industry, both with truck carriers, road authority representatives responsible for the reviewing of LCV route assessment, Ministry staff in the Permit office and in the Regional offices and senior staff with the Ontario Trucking Association.